4 weeks down only 11 more to go!! 7 Bridges is going to be here before we know it. This is the earliest I’ve ever started marathon training. I had mixed feelings about it. Summer running can be brutal, but so far, I’ve been handling my runs well. I’m getting all my miles in as planned and I feel really good after most of them too. The combo of heart rate training and back to back long runs is just the right thing for me! It’s feels so good to know that my body loves training this way. 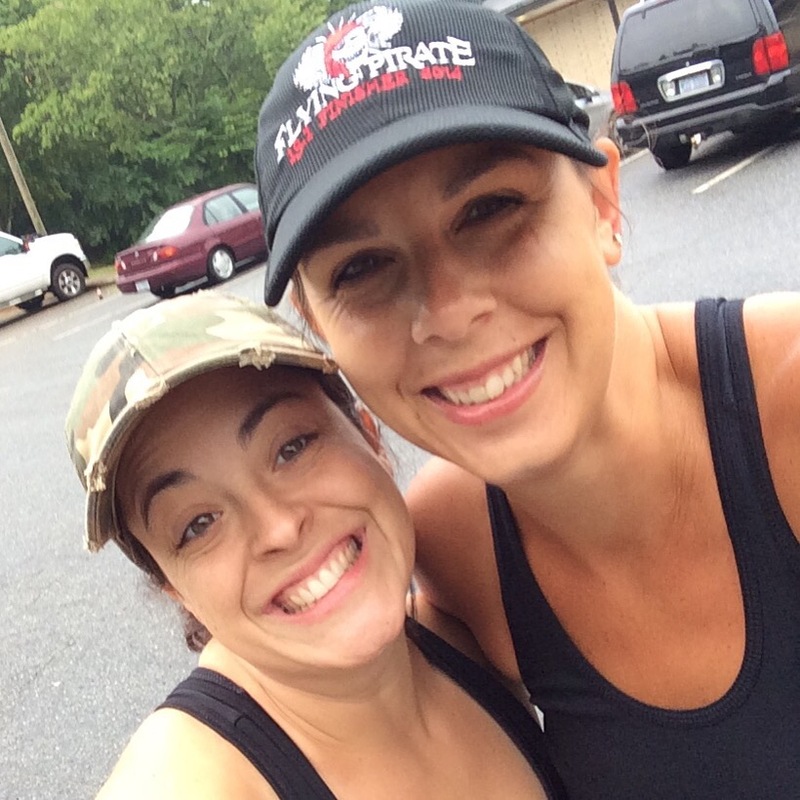 Monday – I met my friend, Kristen, at Body Pump. She just recently joined my gym so it’s great to have another person to meet up for classes! After class, I met up with Marty, Christie, and Amy to run the route for a 5K he’s helping with in November. The city made some changes to the route and we needed to run it for ourselves. It was also so flippin’ hot out there. The dew point was at 74 when we started. It was not that great of a run, but we all suffered together. 3.01 miles @11:44 pace. I walked a lot due to my HR coming up. It’s tough to run after BP. 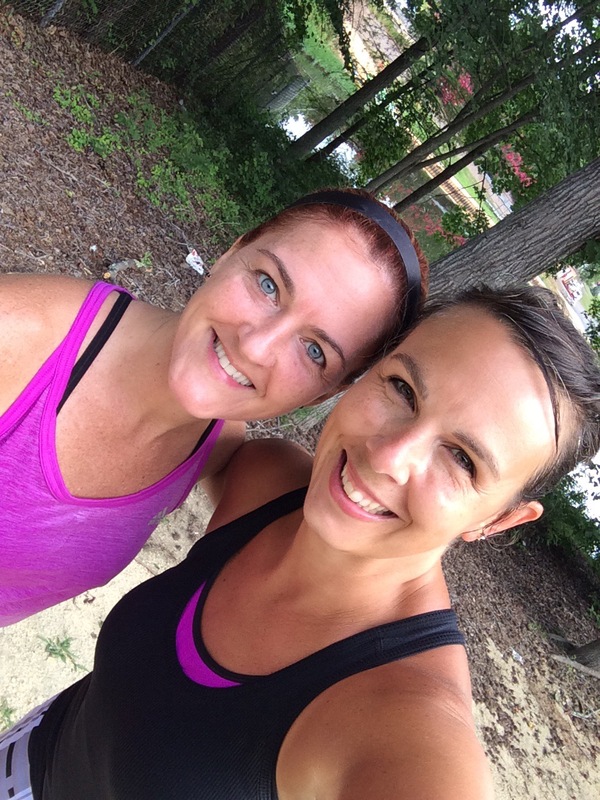 Tuesday- Cara and I met early to run 4 miles. We had a pretty decent run considering how humid it was when we started. We looked like two drowned rats when we finished. Just soaked with sweat. It was one of those runs where we would have had a puddle if we had wrung out our clothes. 4 miles @11:12 pace I didn’t record my avg HR. Saturday – 7 miles with Christine and crew at Salem Lake. We haven’t been in there in ages so it was fun to hit the trail. It’s 7 miles around the lake, so we were able to run around once. Our run was really good!! 7 miles @10:51 pace avg HR 135. We hit one of our favorite post run breakfast places in Winston, Mary’s Gourmet Diner. So good! 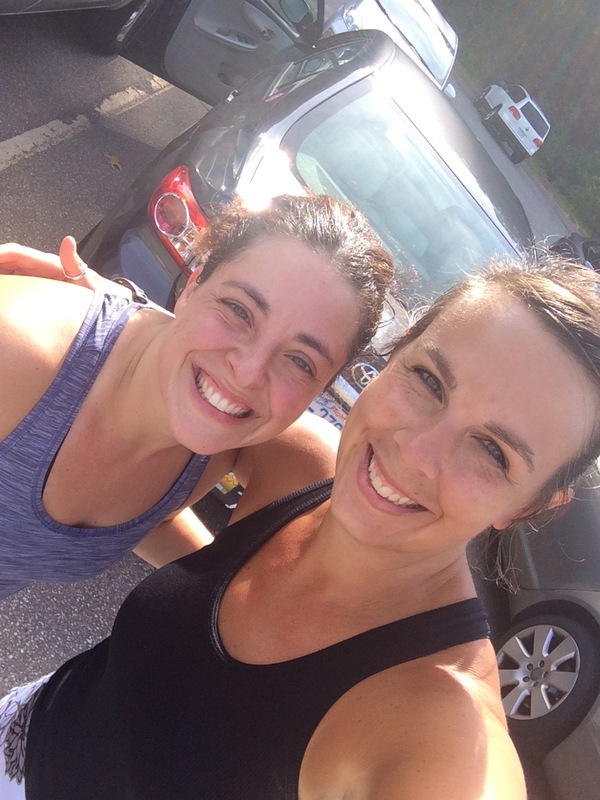 Sunday – 8 more miles with Christine. With a second long run, I never know how it might go. We totally lucked out with some cool morning temps! We ran really well and finished just under 1:30 @11:07 pace and avg HR 127! We hardly had to walk today and kept a great pace. 2015 Year to Date Miles: 832.17 on my way to 1500. Happy Sunday to you all! Hope that you are enjoying your weekend. We’ve had a super relaxing weekend and we are off to have our family photos done today and hopefully, I’ll get in a late afternoon run too. Thursday – 1 mile Mumford and Sons concert!!! We have another super week of meals from Hello Fresh! Here’s what we picked this week! After a chilly weekend, it looks like the weather finally returns to more appropriate Spring temps. In addition to that, I feel pretty much recovered from the marathon and I’m back into adding miles and hitting the gym. What’s on this week’s fitness plan? Tuesday – A group of us are meeting downtown to take part in the first Gibb’s Hundred Brewing Running Club meeting. Gibb’s is a local brewery and they are offering specials after the run. They have a 3 mile and 5 mile option. I’m planning to run the 5 mile route. It’s also my 700th day of my running streak! Thursday – I want to hit the yoga class at the Y, so I’ll probably run 3 miles before or after. Friday – I’m going to go for a mile, but with having off school, I may have time to run more. 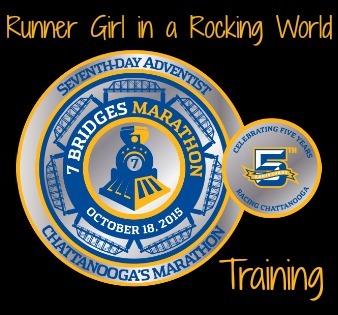 Saturday – I’m volunteering for at a local race and bonus! It’s right near my house. I’ll plan to run to the start and back for 4 miles. Sunday – I’m planning to run 8-10 miles. Amazon just restocked Essentia so I’ve got a 12 pack of waters for the week. I’m also going to start keeping an eye on my portions and making an effort to eat at home. I cannot eat out every night and expect to make good choices and watch my portions. I’m setting myself for failure. What’s on your weekly fitness agenda? Anything you are focusing on? 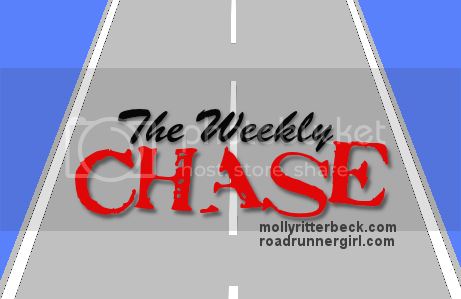 Check out other weekly fitness goals by visiting The Weekly Chase. This week looks to be just beautiful and I’m so excited!! Seems like Spring temperatures are slowly staying around. Tuesday – I am going to try and make it to yoga, but it depends on what time I leave school. I’ll either hit the class and do a mile or run 3 solo in my neighborhood. Saturday – I’m running the Hamilton Lakes 10K again this year. The course has changed from last year, so I’m hoping it’s not as hilly, but knowing that neighborhood, it’s about impossible to make it any flatter. Not sure at this point if I’ll race it or not. Still working on getting my legs back from the marathon. I’m excited to be mixing in more classes this week and keeping my running pretty easy, slowly gaining back miles on the weekends. What’s on your weekly fitness plan? Any races coming up this weekend? Tampa week 3 is this week and with that comes my first official MAF test. I’m super excited to see how this goes and where my starting point is to see progress in future tests. With a lot of after school meetings this week, it will be a stretch to get this all in. I’m going to have to go with the flow a bit and try to get runs in when I can. It’s tough when it’s dark in the mornings and early in the evenings too. I’ll make it work! How do you work around the dark mornings and nights? Hit the treadmill? We have some fun family events this week so I’ll have to get my workouts in when I can. This will be week 3 of official MAF training and I’m looking forward to doing my first mile test next week as one of my runs. This will be the baseline to show growth! Pretty exciting! 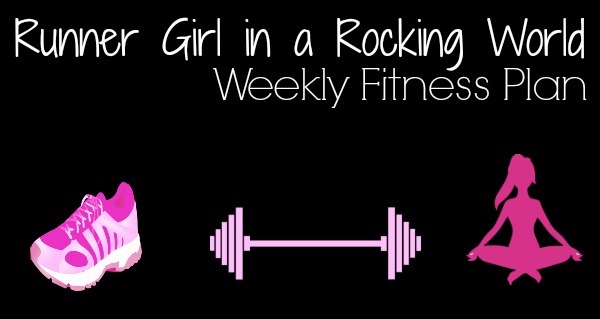 Monday – 1 mile (rest day) BodyPump if I can swing it! Wednesday – 1 mile Busy day! What’s on your fitness agenda this week? Weekly Fitness (and Meal) Plan #2- UPDATED! I am almost on SUMMER VACATION! I have just two days left to work for the year (Monday and Tuesday), then summer is here! And with summer, it means I can work out at different times of the day and hit some new-to-me classes at the Y. I’m super excited! Monday: Super fun workout planned! 3 miles before a group of us hit yoga at Center City Park. Each Monday and Wednesday they do Fitness by the Fountain. I’m going to work on my food plan soon! With the extra time, I think I’m going to give it a shot next week. Fingers crossed! I had time to plan out some meals for the week! I’m trying two new recipes and making one good ol’ standby. Mexican chicken and black beans (an old stand-by) I’ll post the recipe this week. I’m really excited to try out the first two dishes. Trying to mix it up a bit for dinner now that I’m home.